Hi! You must imagine this beautiful countries after you all seen crazy rich asians. Its night light; street food; its cleanliness. Singapore! A mishmash city of eastern and western culture with a diverse range of architecture, language and food, creating a distinctive culture hardly replicated anywhere else in the world. 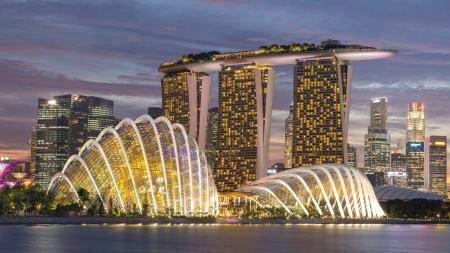 Live it up in the "Lion City" Singapore is much more than the sum of its numerous attractions. It’s constantly evolving, reinventing, and re imagining itself, with people who are passionate about creating new possibilities.It’s where foodies, explorers, collectors, action seekers, culture shapers, and socialisers meet―and new experiences are created every day. Come Visit us at BBX Singapore ! At AntiOxidant Wellness spa center, our heated stone therapy rooms comprise of anti-oxidant beds made from specially treated precious stones. These hot stones release Far Infrared Rays (FIR) and Negative Ions within our wellness center which are absorbed through the skin and air. This allows for the neutralisation of free radicals and body detoxification, thus creating a healing sanctuary for your health and comfort. We at Antioxidant Wellness aspire to provide our guests with unparalleled quality and standard for all your health and wellness needs. Serving from the heart, we strive to provide the most authentic Ganbanyoku hot stone therapy experience that will leave you feeling relaxed and rejuvenated. ​Within the bustling city of Singapore, we have created a healing sanctuary of tranquility for your ultimate satisfaction. Sail off into the sunset with White Sails. We are Singapore’s premier yacht hire company offering an extensive range of boat charter services which can accommodate everything from a fun family day out on the water to an intimate romantic experience for two. Regardless of the time of year, Singapore is a beautiful city to tour by water. In the summer you can soak up the South Asian sun aboard a dazzling white vessel and visit nearby tropical islands. As the weather cools down, there is no better place than a yacht to celebrate a special event or simply watch Singapore’s glorious city lights after the sun goes down. White Sails strive to provide our customers with a five star charter yacht experience that enables our clients to experience the finer things in life. White Sails enables you to live out your high seas fantasy aboard you own private yacht. Whether you want to hire out our charter services for a big day like a wedding, or cruise around for weeks at a time on your luxury ocean bound holiday, we are able to accommodate your every need. Every yacht charter comes complete with a crew who are wholly dedicated to taking care of your every need. Nothing suggests you’re living the good life in quite the way that your own private yacht does. Spend quality time away from the busting Singapore crowds with your friends and family enjoying whatever it is that you like doing best. Our charter yacht comes complete with all of the lux amenities of a world class hotel with elegant interiors that are furnished with powerful air conditioning, queen sized beds and televisions. The vessel also comes complete with all the leisure equipment you need to enjoy life on the water including kayaks, snorkeling gear, fishing rods, and banana boats. Perhaps the ultimate luxury of having your own private yacht is the perspective it gives you. Cities appear at their best when viewed from the water, and when viewed by night the lights reflecting on the water are truly spectacular. White Sails have made yacht hire in Singapore simple, all you need to do is contact us today by phone on 81808008 or by email at enquiry@whitesails.com.sg. Charter a yacht with us and go into the draw to win a free two hour cruise. Your Beauty Is Our Priority. Love of Beauty is Taste. The creation of beauty is Art. Beauty Horizon Aesthetic Salon through years of experience and advanced technology has both the taste and art to fulfill beyond your expectation of beauty in you. For last 2 decades, Beauty Horizon Aesthetics Salon has been dedicated to restoring beauty and wellness for people with skin, body and hair away problems. We pride ourselves with our professional expertise from our qualified aestheticism, arm with years of experience and receiving ongoing training in the latest technology wellness treatments and skin care products. At Totally Hot Stuff Lifestyle, we put together the most creative and best-selling products around the world. Products are wide ranging, spanning from quirky gadgets, novel gifts, to well-designed household items. Today, the business has grown to become one of the leading specialty lifestyle brands with six retail outlets in Singapore. We bring together sellers of unique, carefully selected stuff that exude keen design sense and style appeal all nicely displayed in an attractive physical and online shop front, and connect people to popular and exciting information on the web to keep them in the know of the latest must haves. Orchard Central, 181 Orchard Road. #06-23 (T: 63419213) Bugis (Link Bridge), 201 Victoria Street. Vouchers available for a perfect gift at BBX Singapore office or alternatively drop in and pay by using your BBX QR Code.